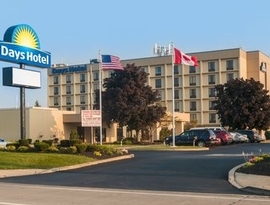 Our Park Snooze and Fly Package includes 9 days of free parking at the hotel near Greater Buffalo International Airport while you're enjoying vacation and a one night's stay at Days Hotel by Wyndham Buffalo Airport the night before your flight. Alternatively, we can provide hotel accommodations on the night of your return. Lastly, shuttle transfers will be provided to Greater Buffalo International Airport when you depart and transfer you back to Days Hotel by Wyndham Buffalo Airport upon your return so you may get your vehicle. If you have a late landing, staying the night of your return is also an option. You can take advantage of parking your car at the hotel prior to your flight and getting well rested at the hotel the night of your return. Our Park Snooze and Fly Packages are an excellent way to make airport parking convenient and affordable. The Days Hotel by Wyndham Buffalo Airport allows late arrival check-in so you know your room will be ready even if you have a late landing. The Days Hotel by Wyndham Buffalo Airport, will allow you to extend your parking duration by booking a room on the outbound and return of your trip. If you need more parking than the included free parking at the Days Hotel by Wyndham Buffalo Airport, you may extend the parking duration for an additional fee of (8.00 ) paid to the hotel. 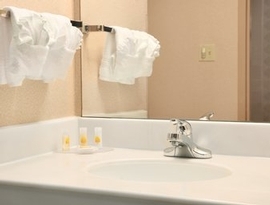 The Days Inn and Days Inn & Suites exhibits clean and caring locations worldwide. Each Days Inn is independently owned, so each hotel is a new experience. 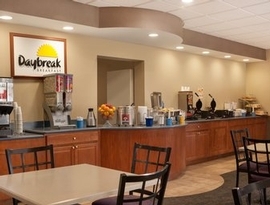 The Days Inn signature is the delicious free Daybreak(R) Breakfast, which is offered at most locations. Or, if you'd rather stay in the room, you'll find free in-room coffee and tea makers at your fingertips. You'll never miss out on technology with the free Wi-Fi in the rooms and public areas. Days Inns do not generally offer restaurants, fitness centers, or business centers, but why pay a higher hotel price for amenities like this if you're not going to use them? 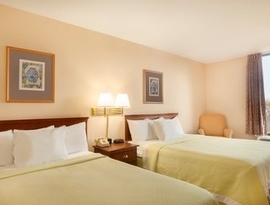 Days Inn is a trusted brand, and makes travel simple and enjoyable. (*Please note: Days Inn & Suites properties have both standard rooms and suites. Our packages only include standard rooms.) 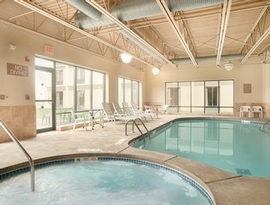 Click here to see all of our Days Inn, Days Inn & Suites hotels which we offer in alternate cities. Transfer Note: Please sign up for transfer service at check in.